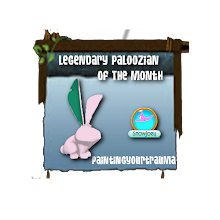 Animal Jam Legendary Palooza: Leopard leopard. I apologize for no posts this past weekend. My internet hasn't been the greatest lately meaning I haven't been able to use it much since its been down. On saturday I forgot and yesterday my internet was dead for half of the day or more so I unfortunately was unable to post. 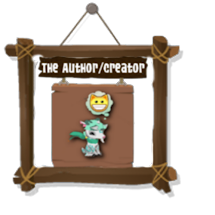 I had a lot of things to post on the weekend like my opinion things, plushie challenge progress and a new contest(please comment ideas) so ya. I am deeply sorry! 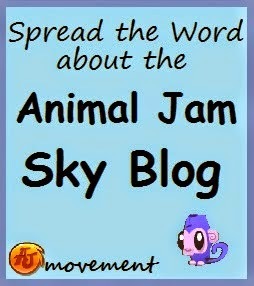 Hope you guys understand cause I know true jammers would! Anyways lets get on to an actual good post. 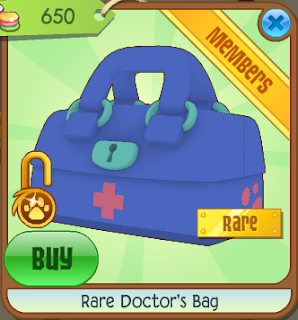 Today we have the new rare doctor's bag sold in the medical centre for 650 gems! At first I saw this item and I was like hmm a different version of the doctor's bag. 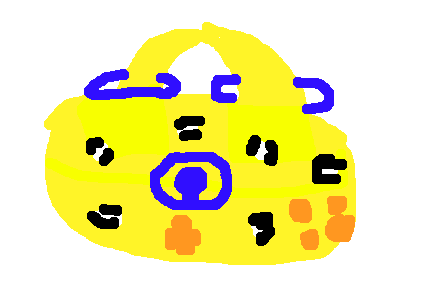 Its not a recoloured item but then I realized it was a recoloured item and I was like awwwww. Im glad this item is 650 gems! Its actually a great price for once yay! I wish ajhq would add different patterns on rim if they are gonna recolour it. Like I recently said in the photo above. It would be nice for ajhq to add a pattern to a recoloured item so it would actually be not exactly recoloured. Last weeks winner was swirl shine! The correct place was greelys hideout den! 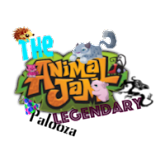 This week it isn't in a land or den its on something we probably use every time we go on animal jam. Woah I just gave you a hint! Comment the exact location of the picture for a chance to win a prize! Okay on friday we had a mini challenge of unscrambling words. This weeks is a bit harder and funner actually! Okay first you will write your username backwards you can do the normal way but backwards will be funner! 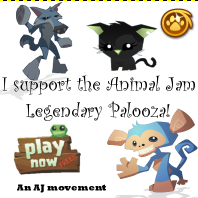 Each letter will be a animal in jamaa if you can't find one for letter then just put in brackets not in AJ you can use pets only if necessary. Oh and if you have numbers add them up here we will look at mine for an example! 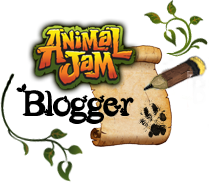 Hope you have fun with this mini challenge I can't wait to here your animal names! The picture is from Jam A Grams! Woo that took a LONG time to figure out! Ooh that challenge looks fun! Lemme try it! The redo wasn't a fail; I could tell that it was leopard print right away!